Strange red-billed gull? Nope, it’s actually a young Black-billed gull! 20/06/03 Supposed strange red-billed gull is actually a juvenile Black-billed gull! 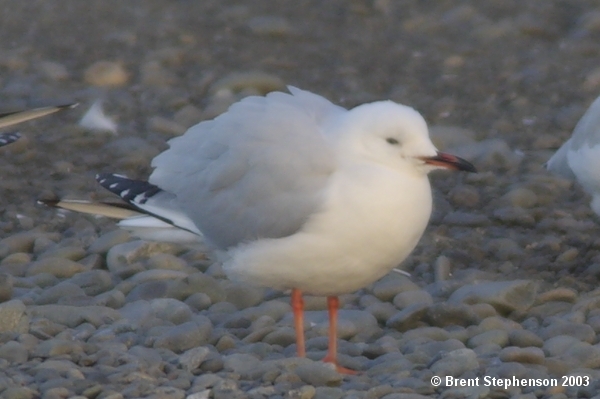 This bird was seen in the company of other red-billed gulls, Larus novaehollandiae, at Waitangi, near Clive in Hawke’s Bay. 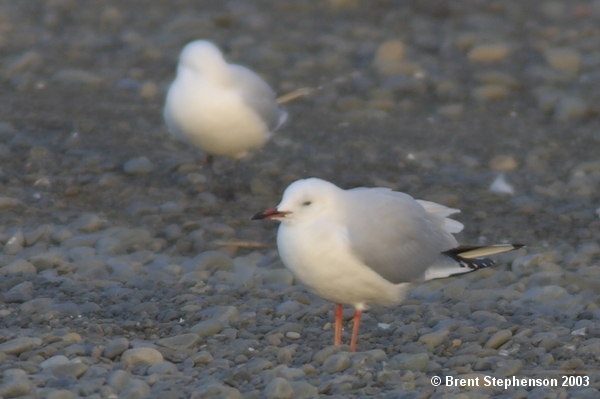 At first glance the bird was assumed to be a red-billed gull. The very strange pale ‘orange’ legs were what first drew my attention to the bird, and following the discussion on BIRDING-AUS with regards to the strange Silver gull seen in Australia, I quickly posted these shots without first considering the possibilities……only to be alerted to the fact I had posted photos of a juvenile Black-billed gull!! Of interest interest is the fact that nobody, except for one New Zealand birder, commented about my mistake. At least 50 odd people (mainly BIRDING-AUSers) had checked out this page before I realised my mistake. Yet nobody realised my mistake, or were too polite to do so!! 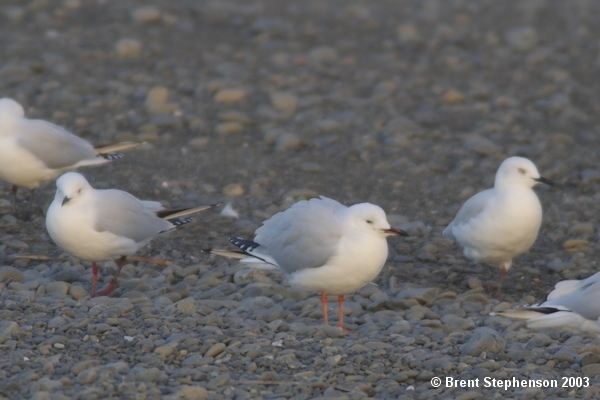 This raises the question as to whether a black-billed gull would in fact be recognised as such in Australia…..or whether it might pass unnoticed! !